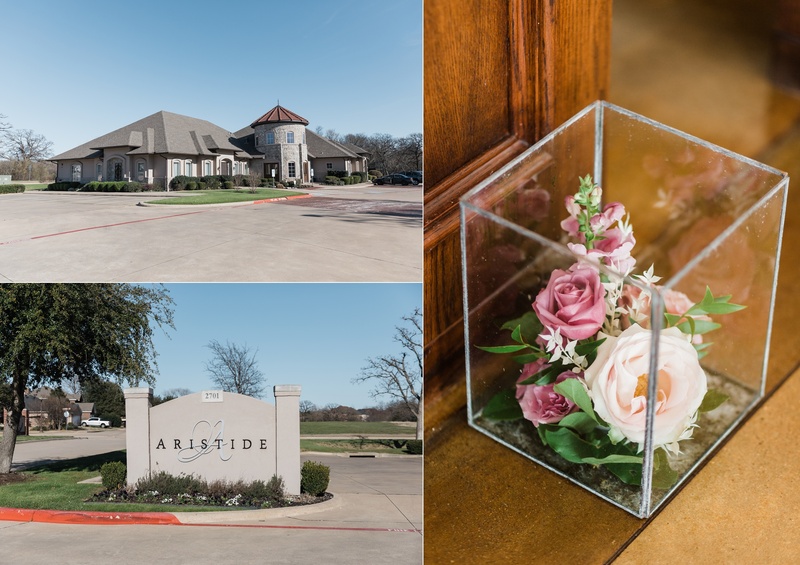 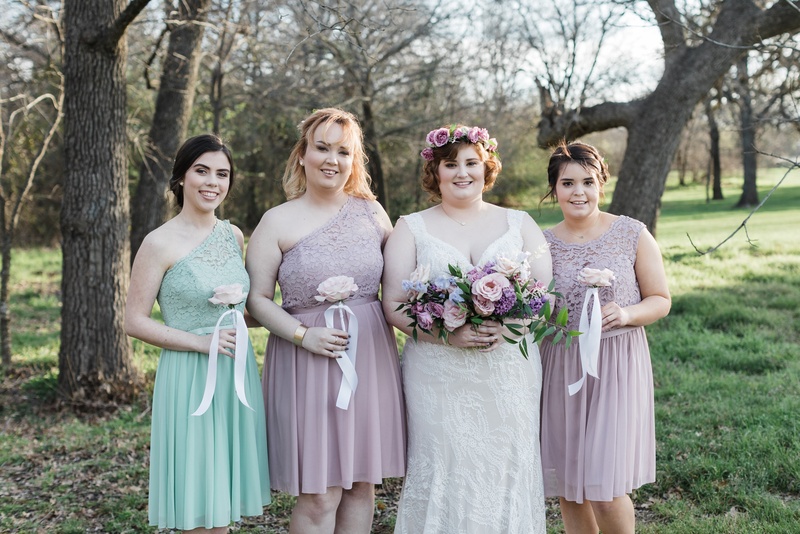 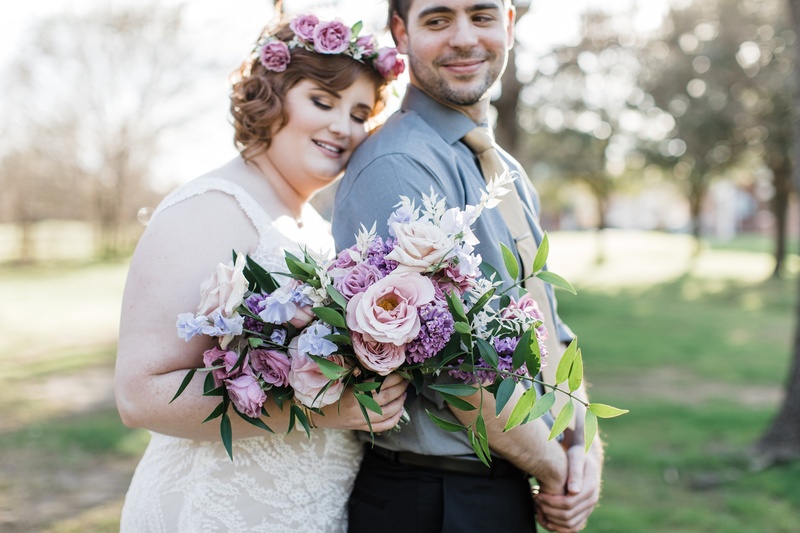 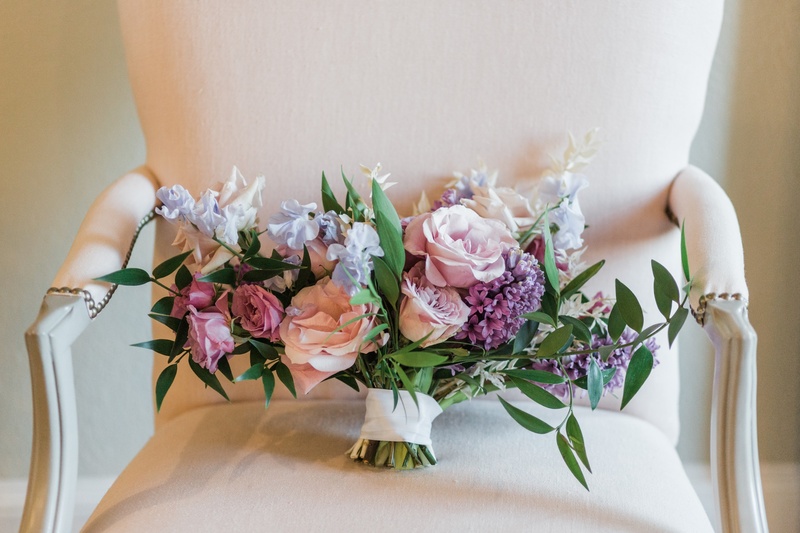 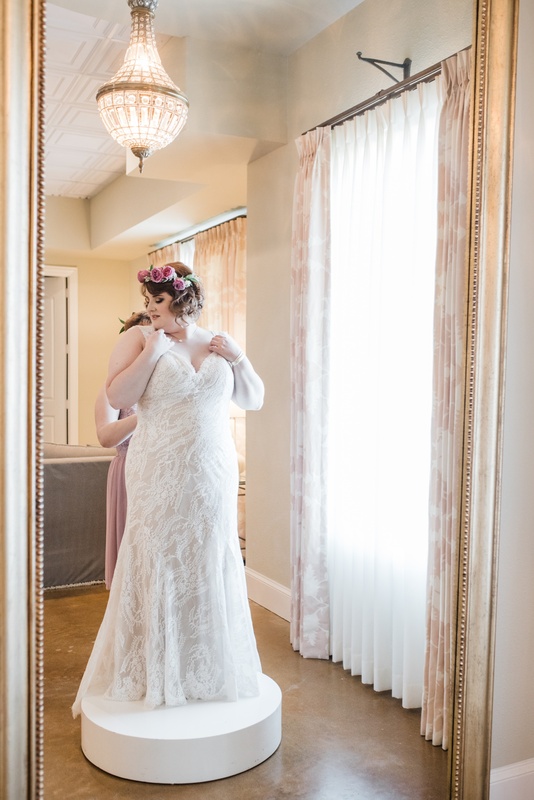 Rachel and Robert’s wedding day at Aristide Flower Mound couldn’t have been a more perfect example of a Texas spring day! 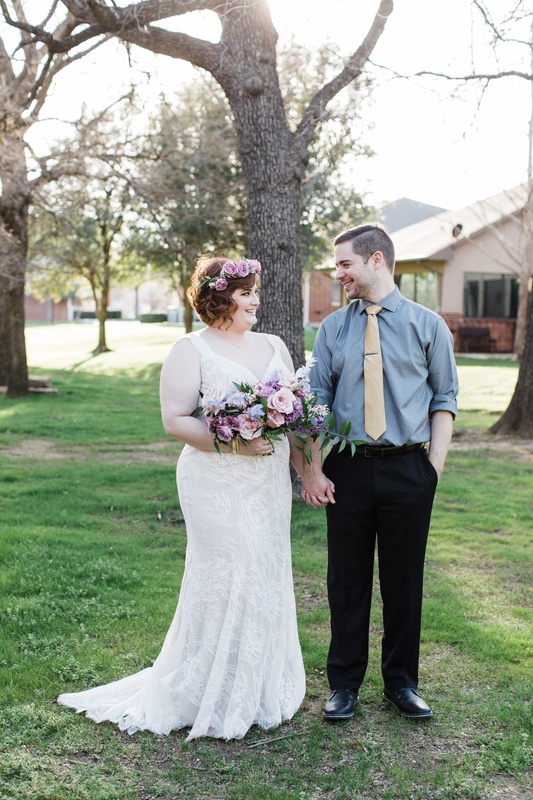 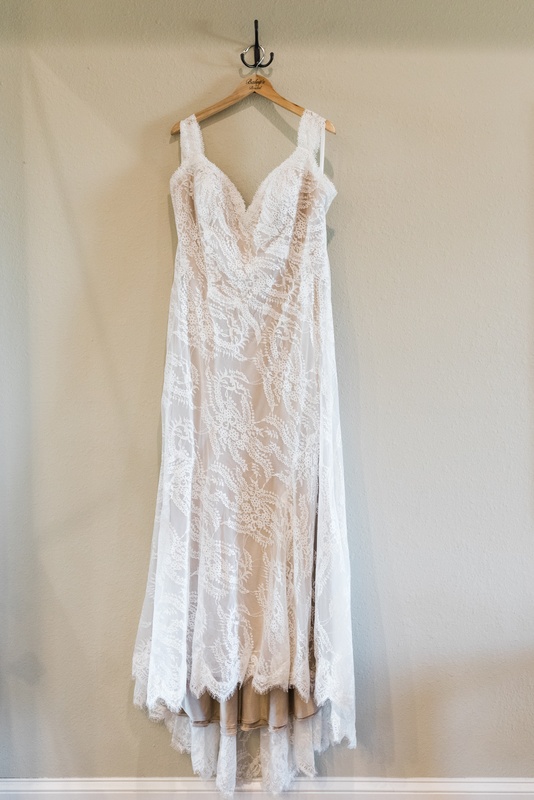 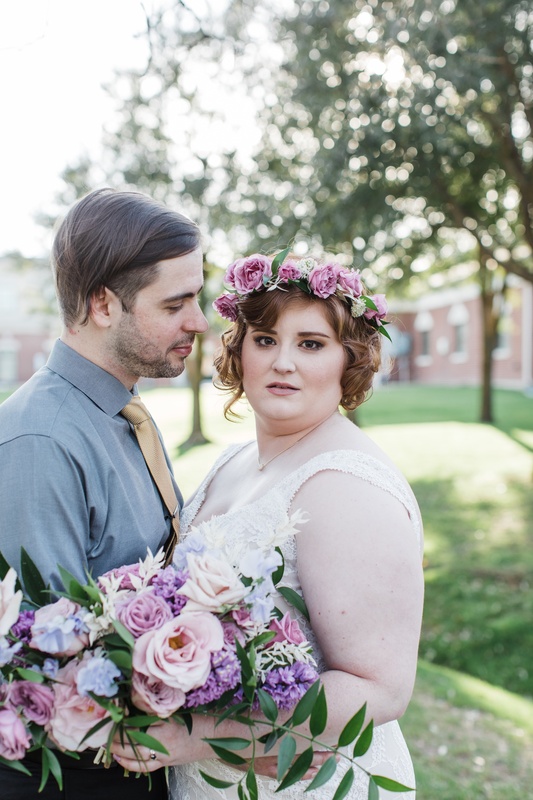 The morning of their wedding, it seemed like all of DFW was woken up by a loud hail storm. 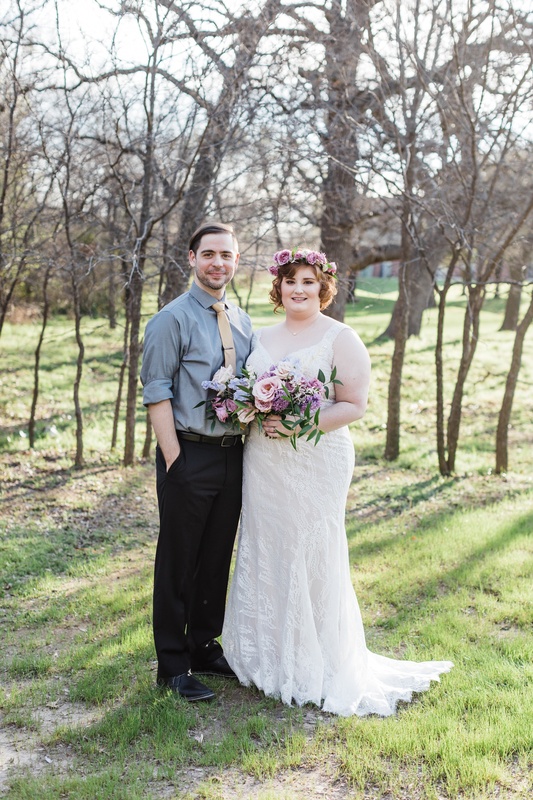 However, by the time of their wedding, the sun was shining bright and all was perfect! 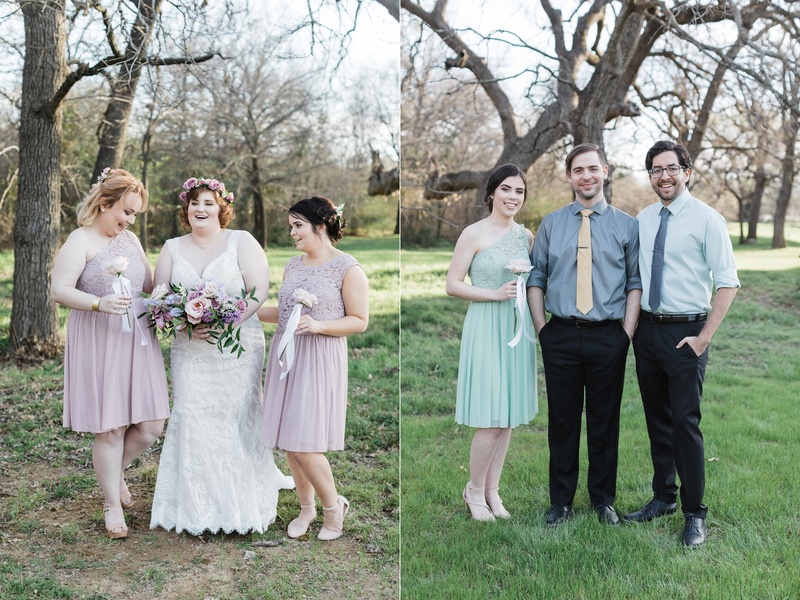 When talking with Rachel about the style she was going for, she mentioned that the vibe was very Earth Mother meets spring. 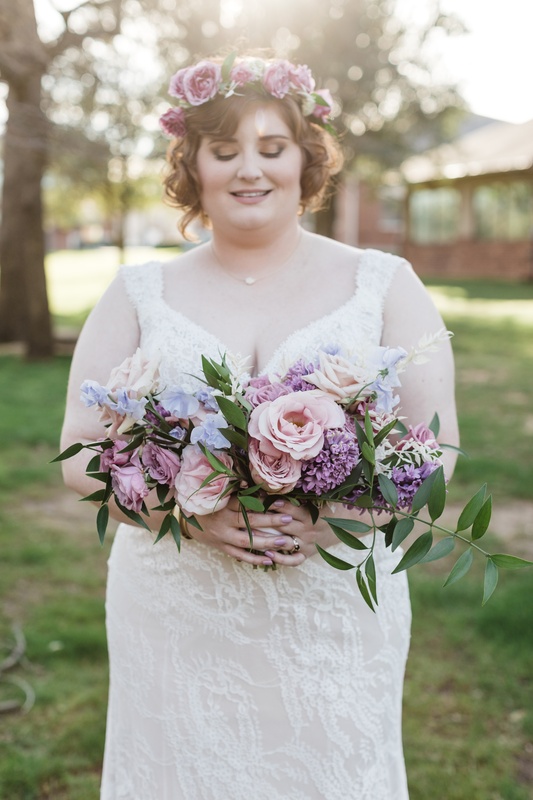 With the colors and beautiful flowers, I think her vision was achieved! 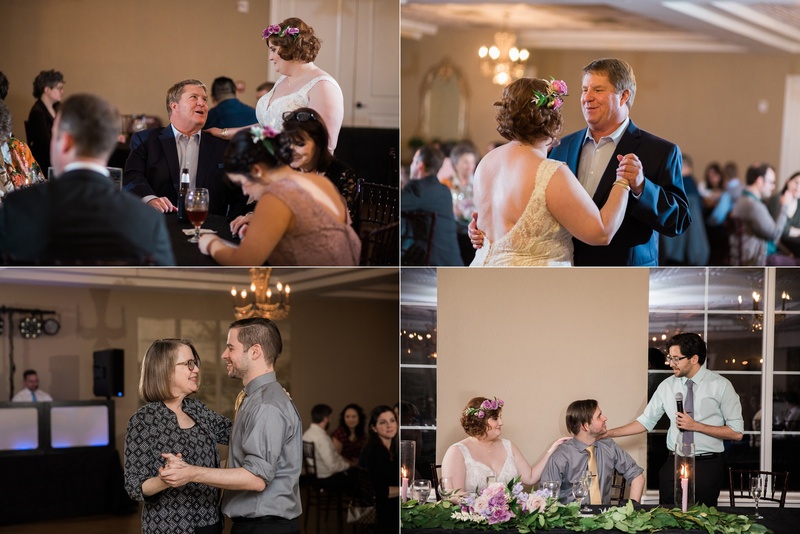 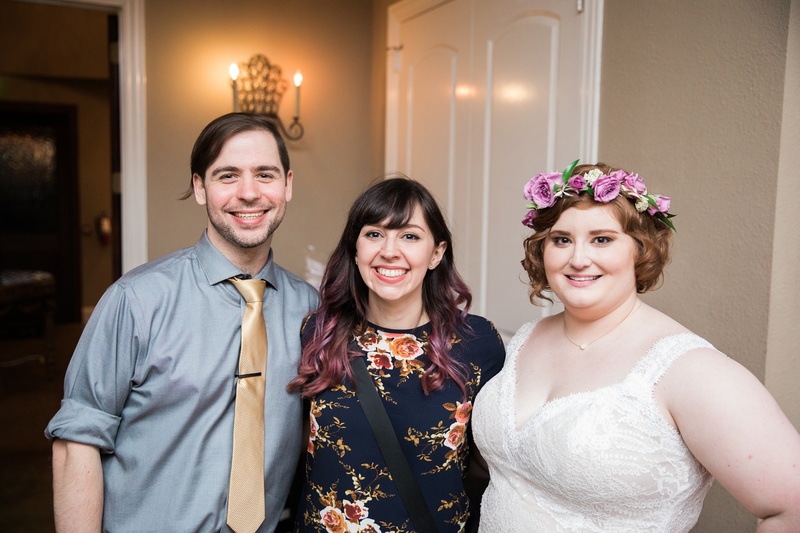 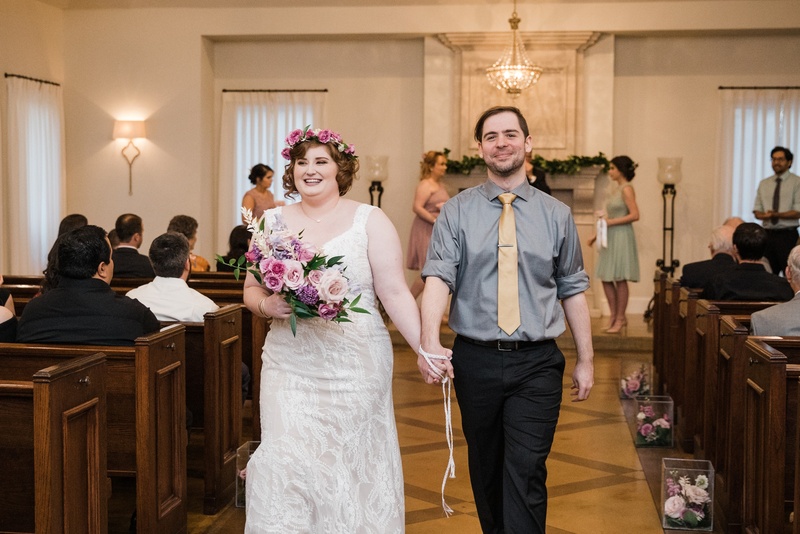 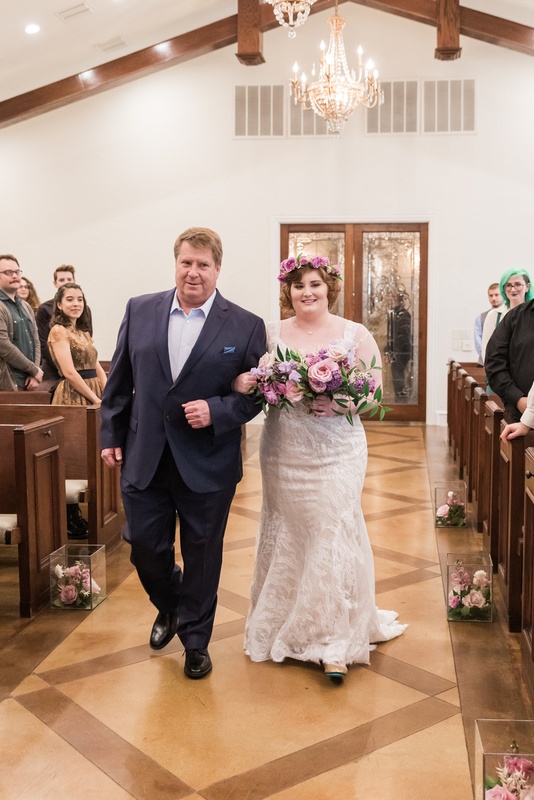 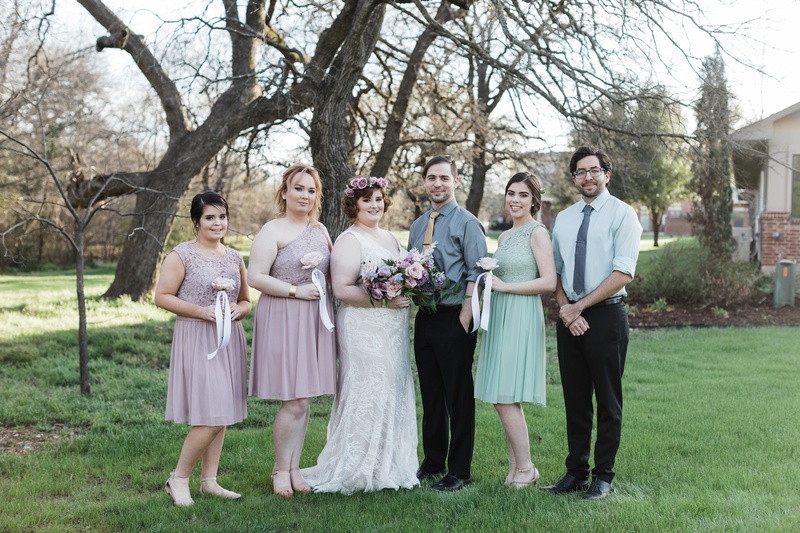 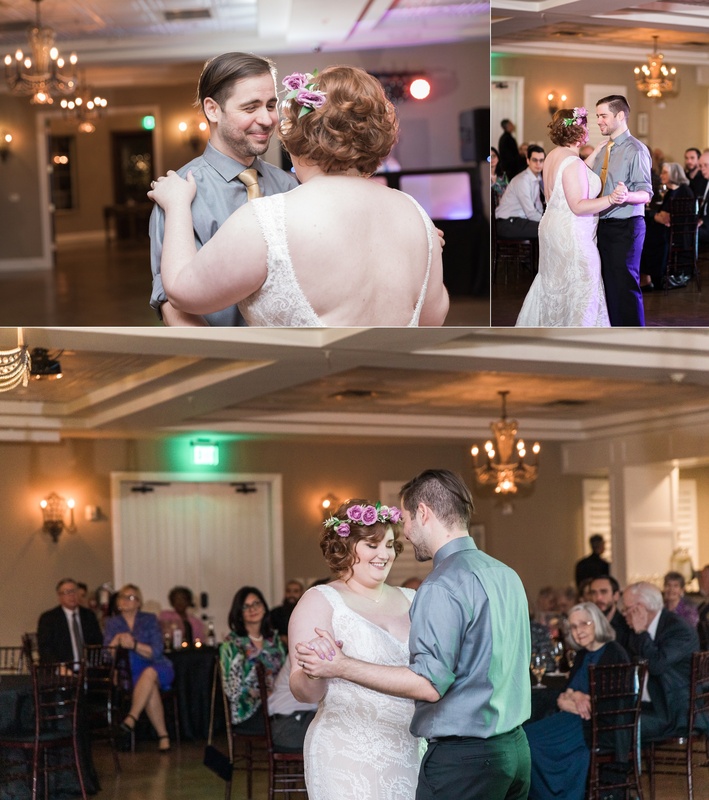 Rachel and Robert have been together since high school and had a beautiful wedding ceremony in which Rachel was walked down the aisle to “Hoppípolla” by Sigur Ros. 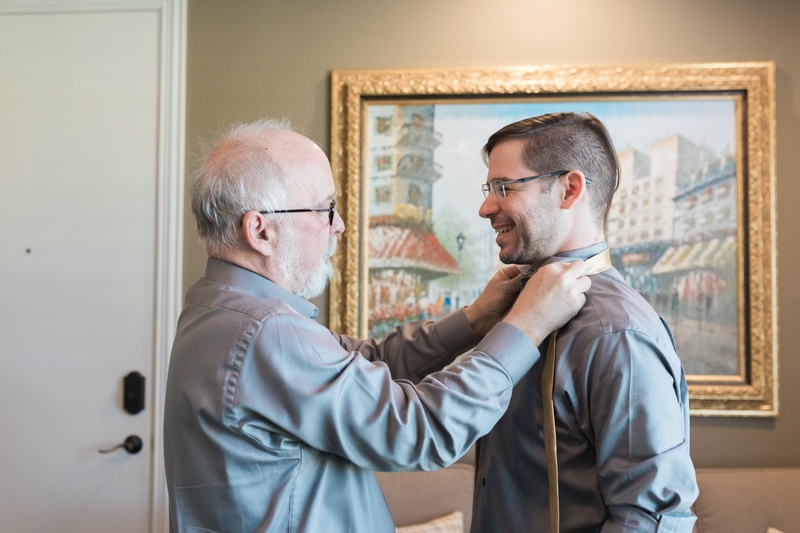 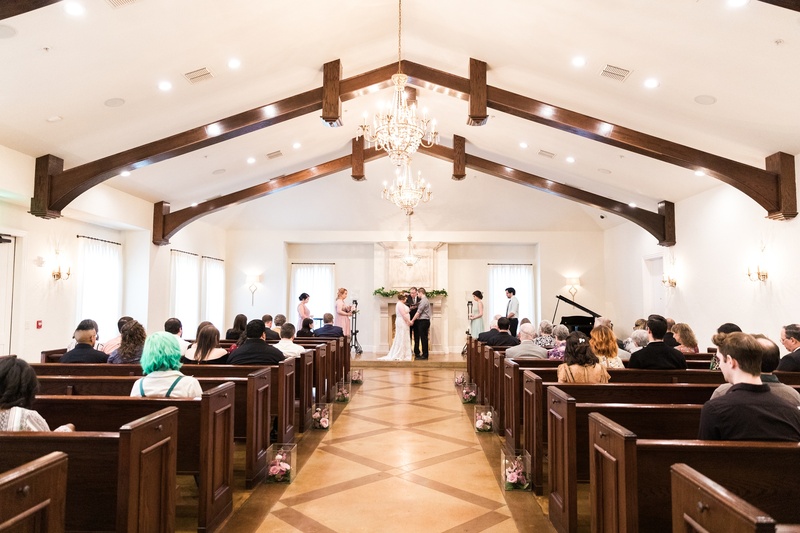 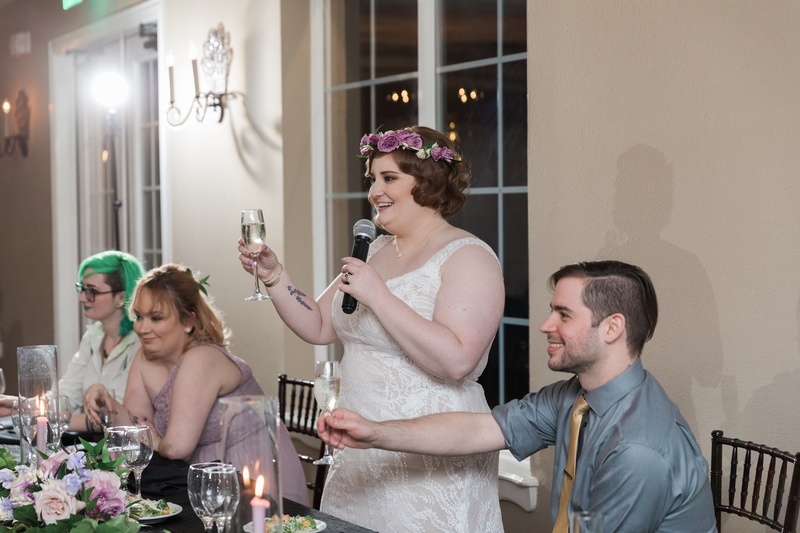 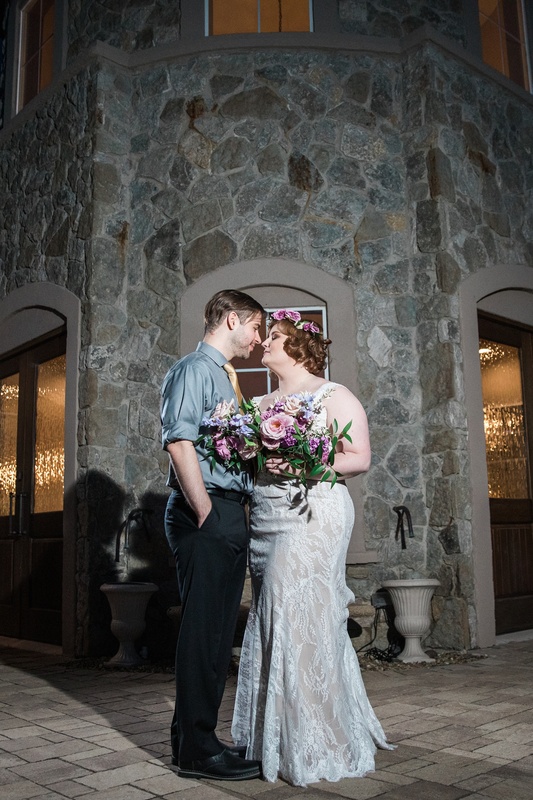 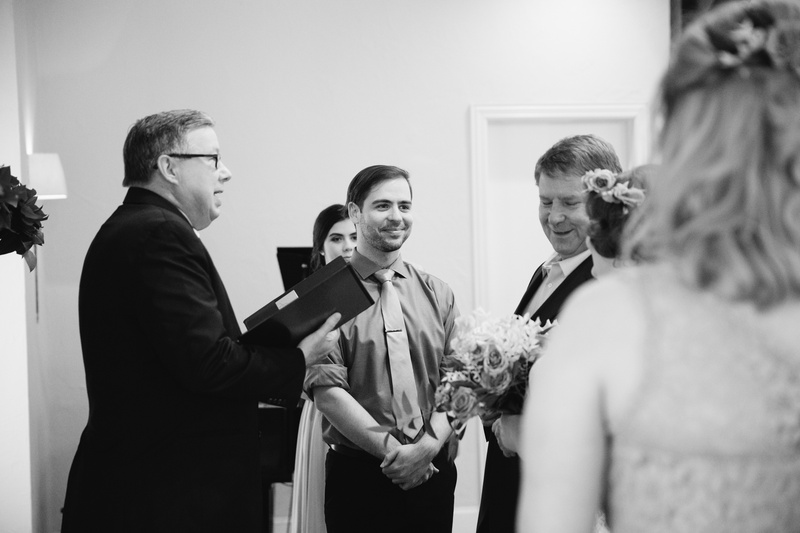 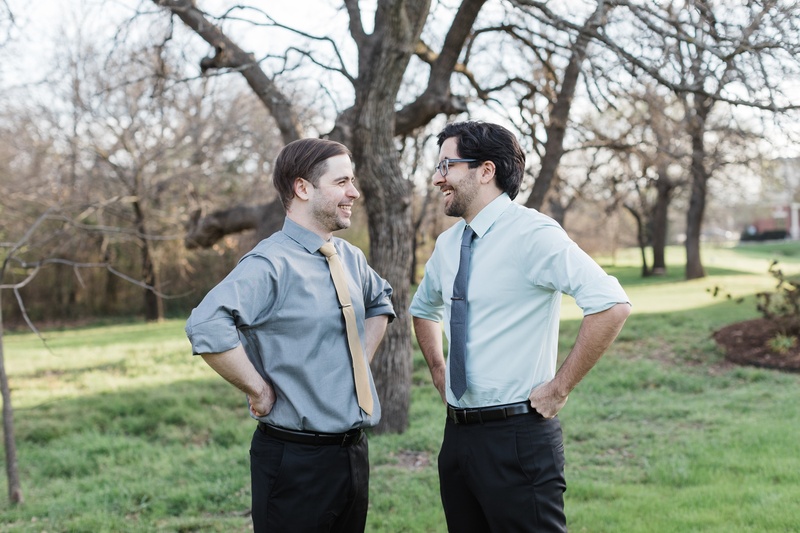 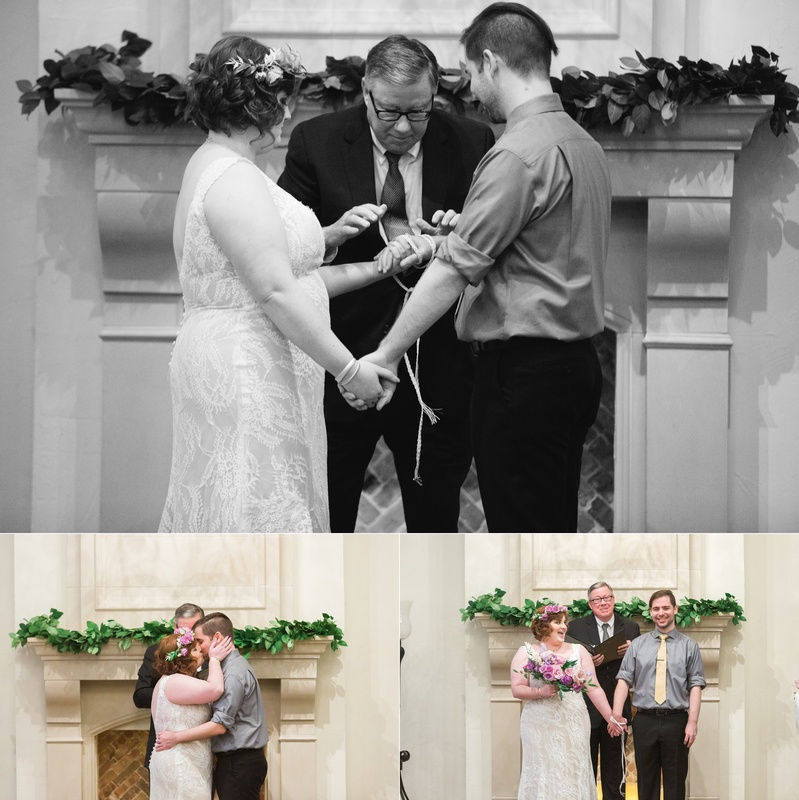 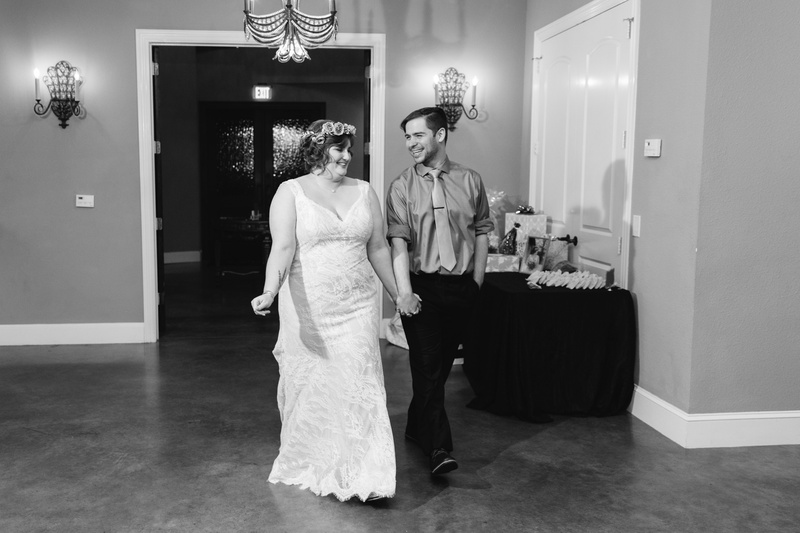 They were married by Robert’s family officiant and opted for a handfasting ceremony to symbolize their union. 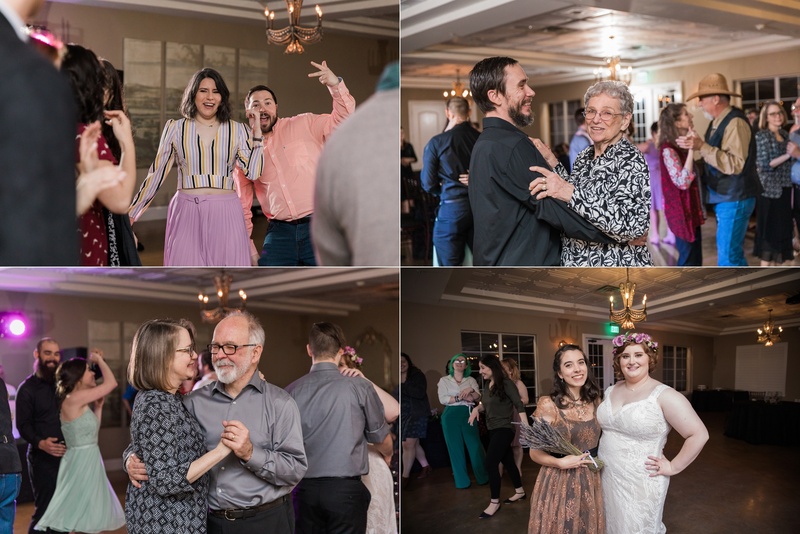 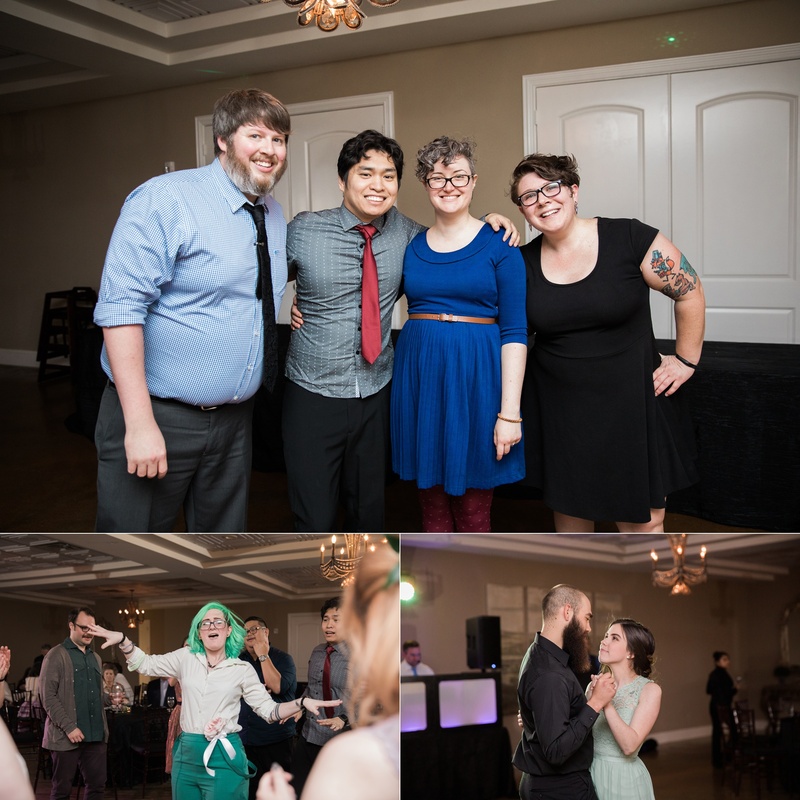 The reception started off with a bang with plenty of great 1980’s and 1990’s tunes. 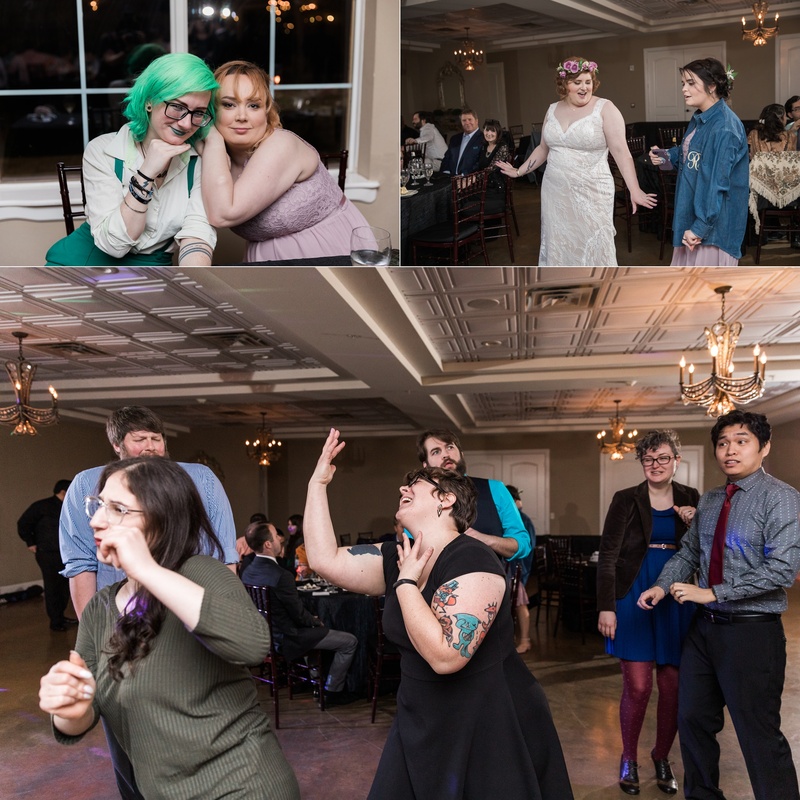 The night was concluded with a very loud singalong of Bohemian Rhapsody, and you bet we participated! 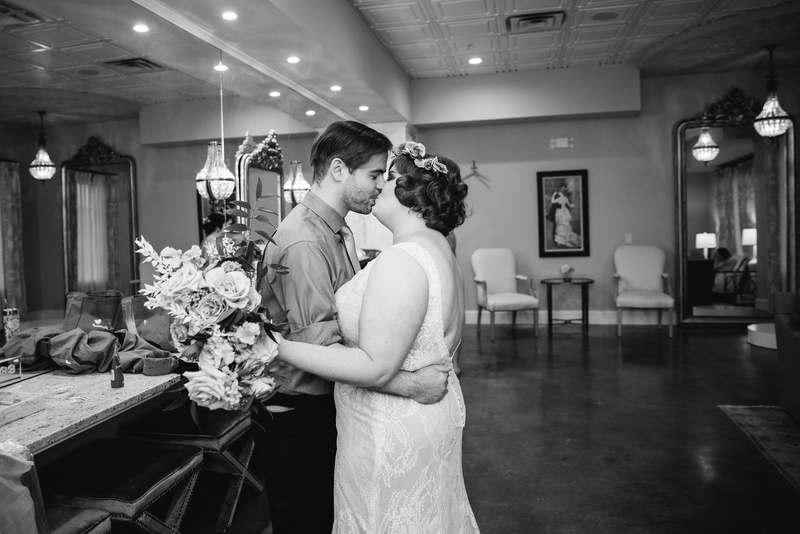 Congratulations to Mr. and Mrs. Farr! 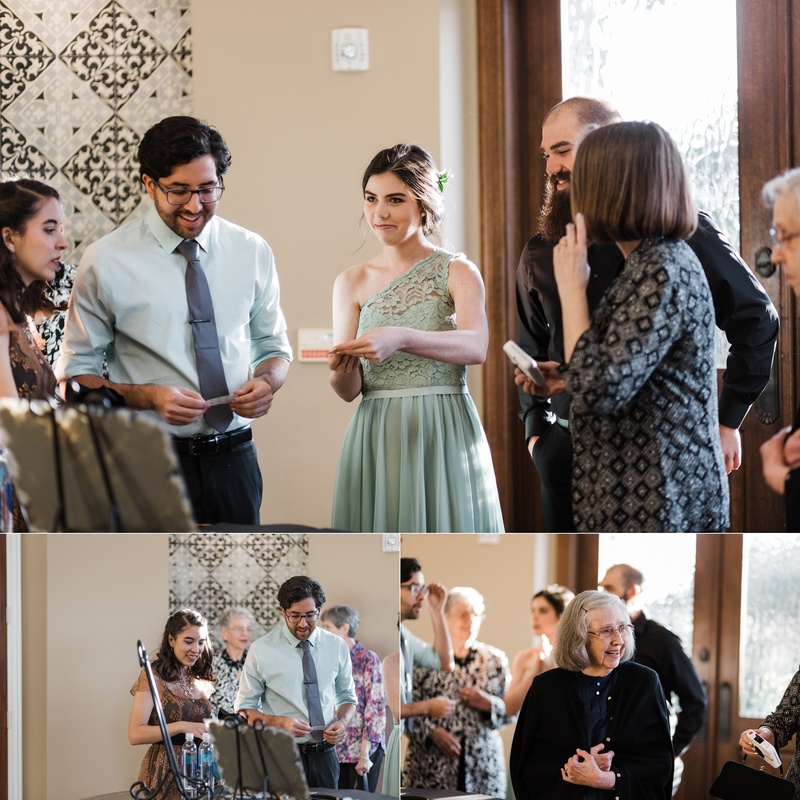 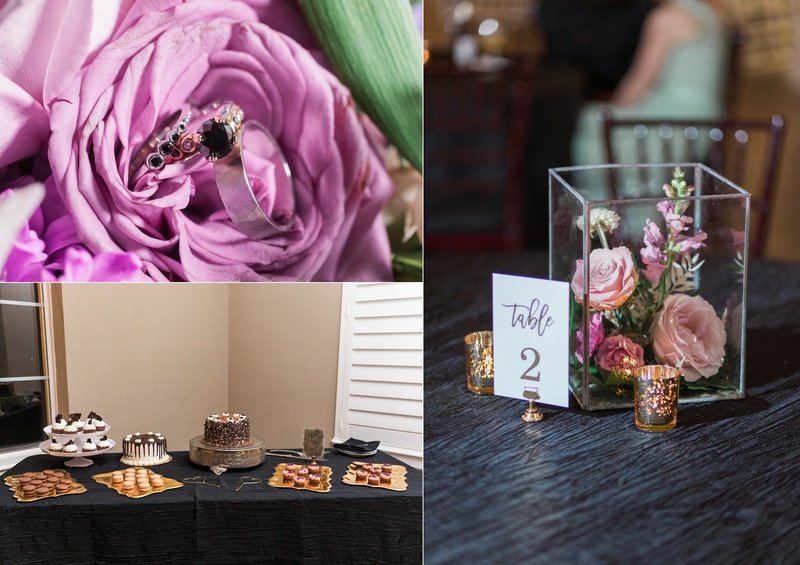 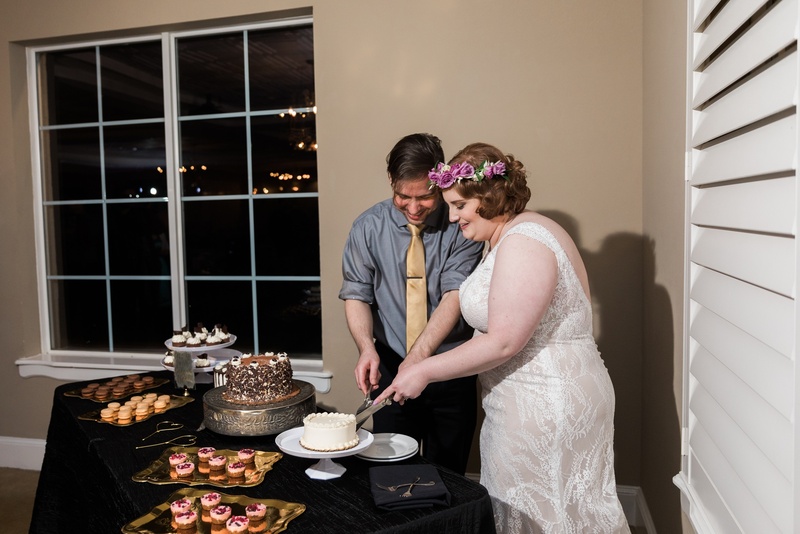 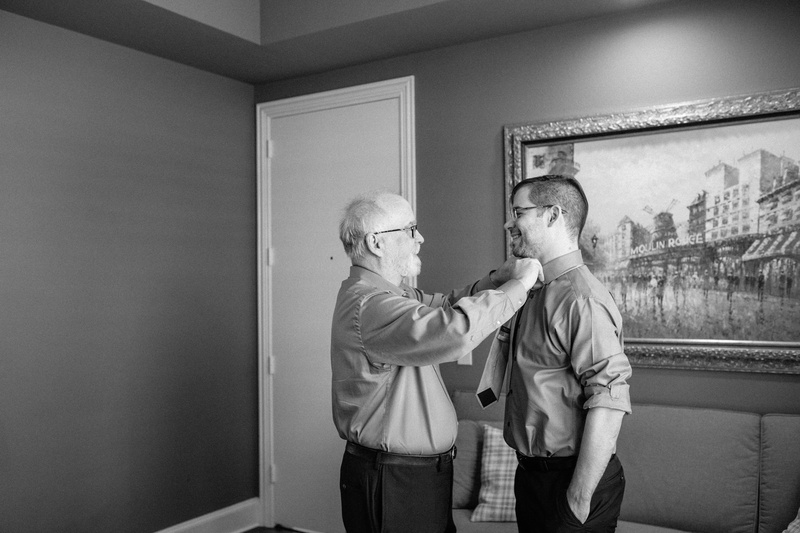 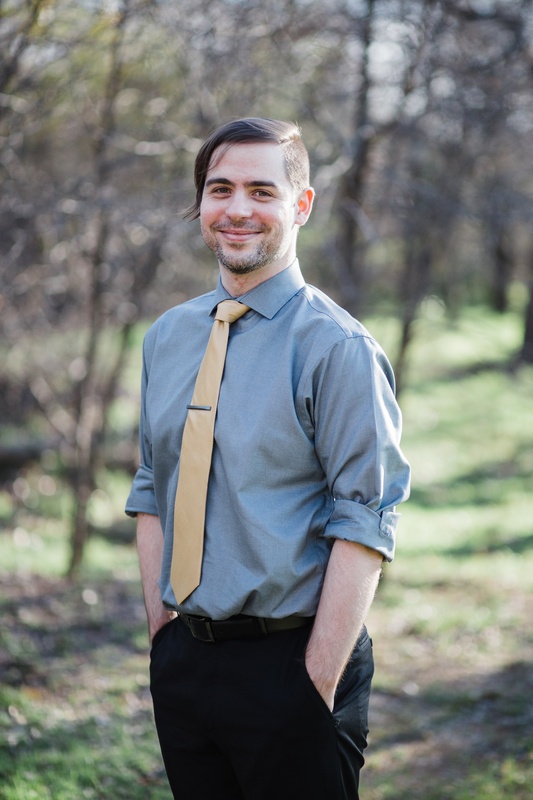 I’m thrilled that this is my first time sharing a wedding since updating my new website. 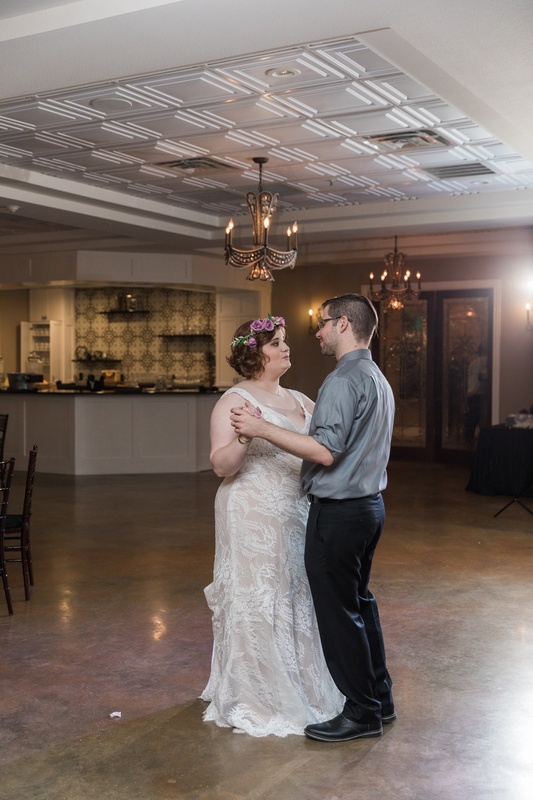 It’s been a labor of love and was definitely overdue. 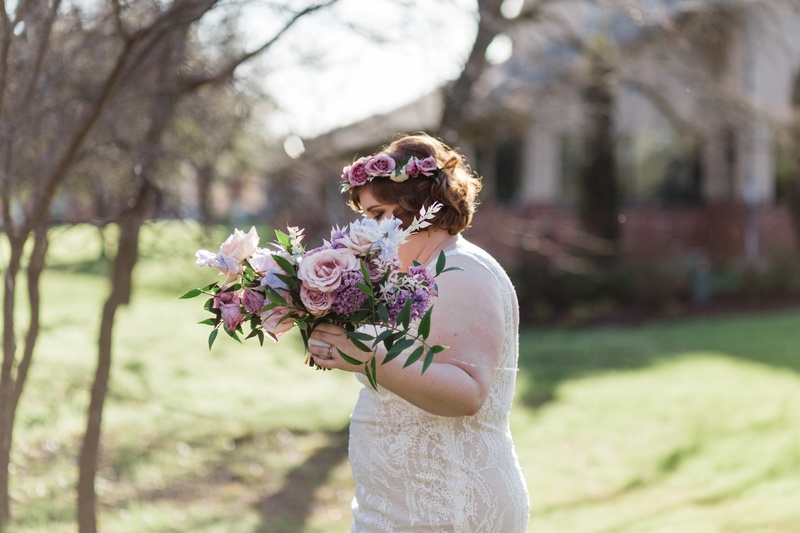 I’m continuously adding to my portfolio and can’t wait to share more. 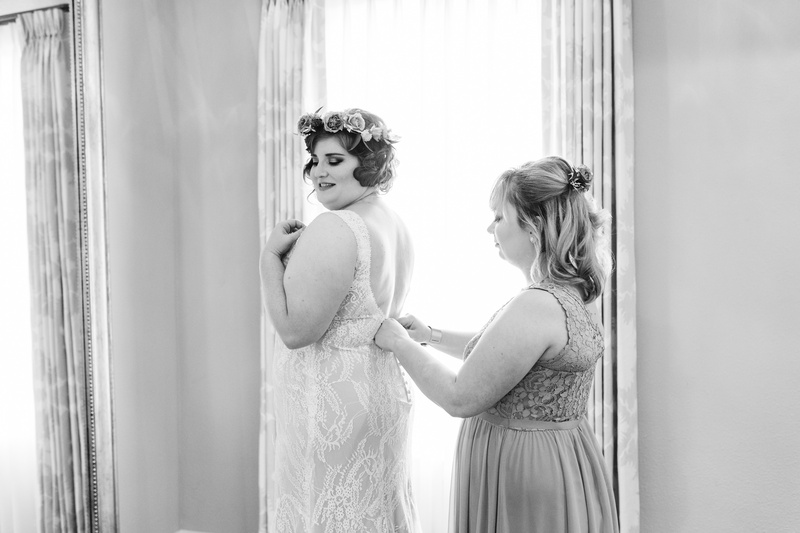 In the meantime, here is a link to my newest wedding portfolio. 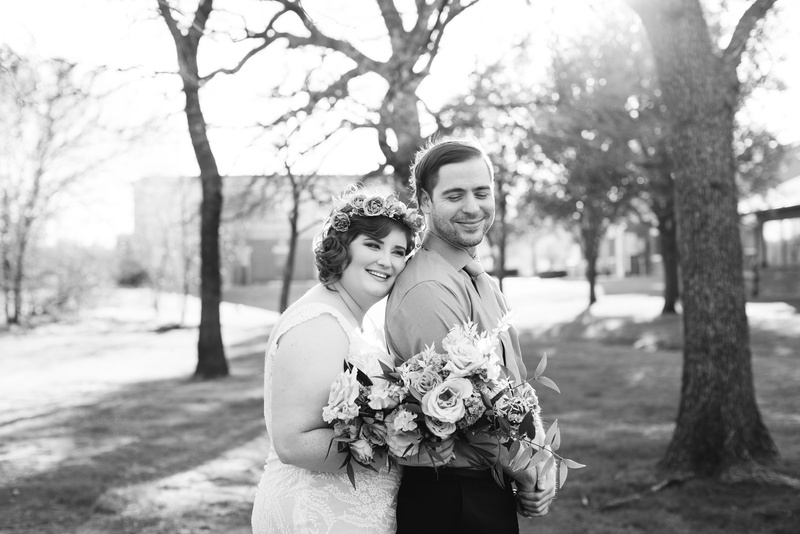 As a Dallas based photographer, I’m super excited to add Flower Mound to my list of places I’ve photographed.